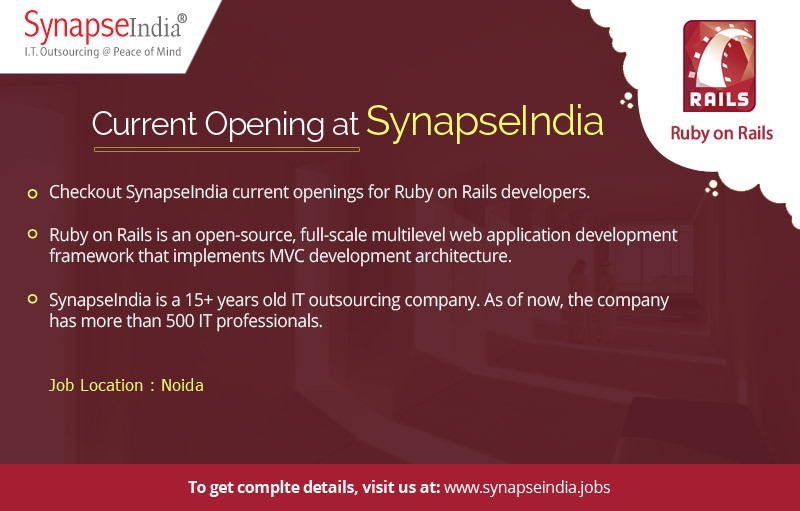 Checkout SynapseIndia current openings for Ruby on Rails developers. The job location is NSEZ, Noida. Ruby on Rails is an open-source, full-scale multilevel web application development framework that implements MVC development architecture. SynapseIndia is a 15+ years old IT outsourcing company. As of now, the company has more than 500 IT professionals.